There was a point during this process when we were asked to create a "prototype sketch" to capture the progression of our research question. Being both a visual and a "big picture" person, this is an assignment that appealed to my style of learning. 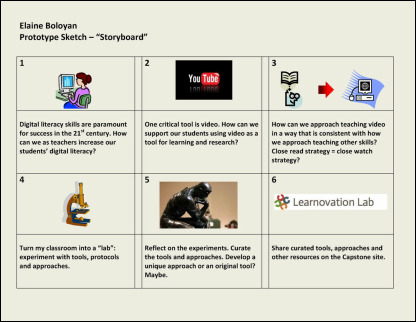 I created a "storyboard" that represents my process from initial driving question to capstone project ideas. The driving question is critical in setting the context. In project planning we start first with the driving question, capturing the big idea of what we want our students to learn. Similarly in this prototype sketch, I start first with the driving question: How can we as teachers increase our students' digital literacy? 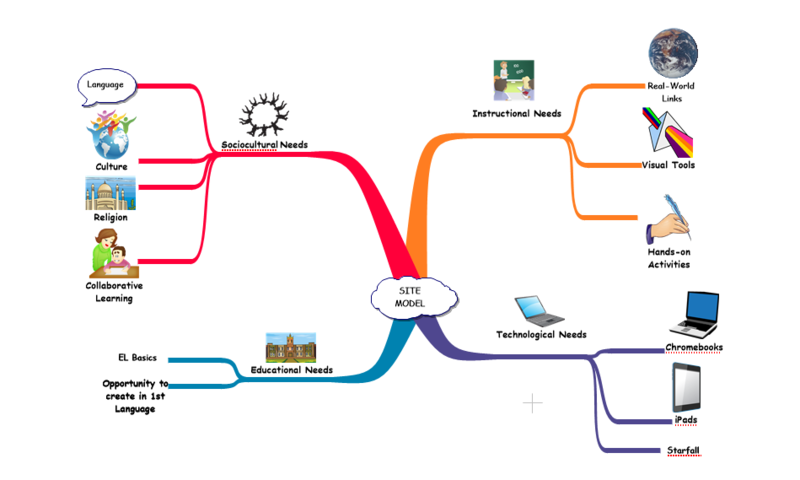 During the design process we also took the time to analyze the needs of the whole learner from several key perspectives: sociological, instructional, technological and educational (SITE). I chose to look at the needs of learners relative to PBL since this is my school's primary curriculum.